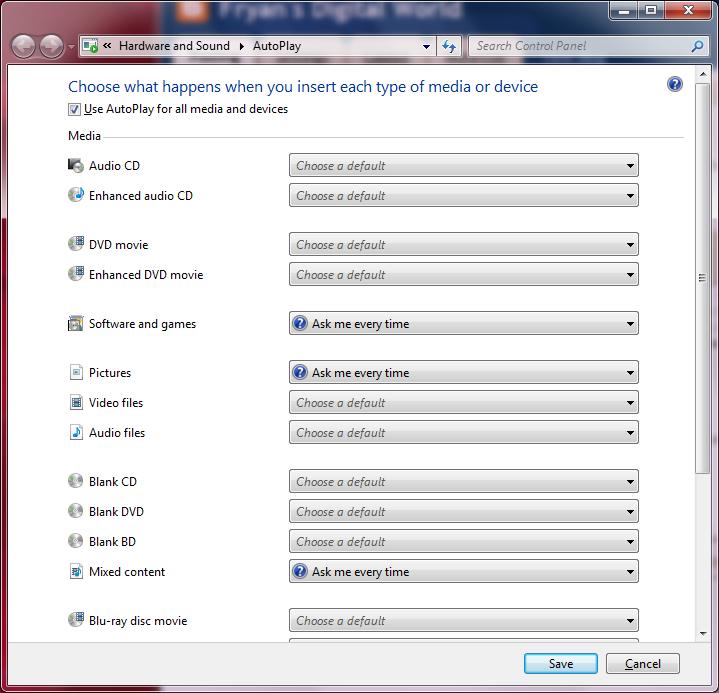 Windows has AutoPlay feature which prompts you a message whenever you enter DVD/CD, USB drive, or media. 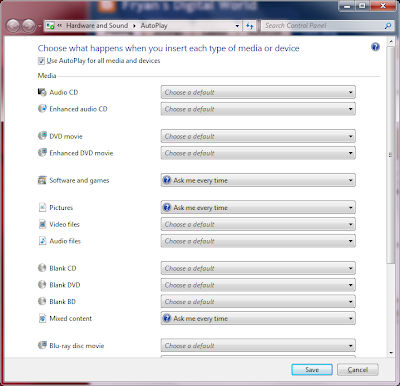 Before Windows 7, there is no single location where you can change the Autoplay feature for each media. Microsoft added this one stop panel in Windows 7 where you can easily configure what happens when you insert each type of media or device. To access AutoPlay in Windows 7, follow these steps. 1. From the Start Button choose the Control Panel option. 2. Select "Hardware and Sound" icon and then hit AutoPlay. Or just simply type "Autoplay" on the "Search program files" from the Start Menu. Devices will be listed in the Autoplay panel as well if they are connected to the computer. To configure all possible devices, it is recommended to connect all devices to the computer. To disable Autoplay feature globally, uncheck the "Use AutoPlay for all media and devices"